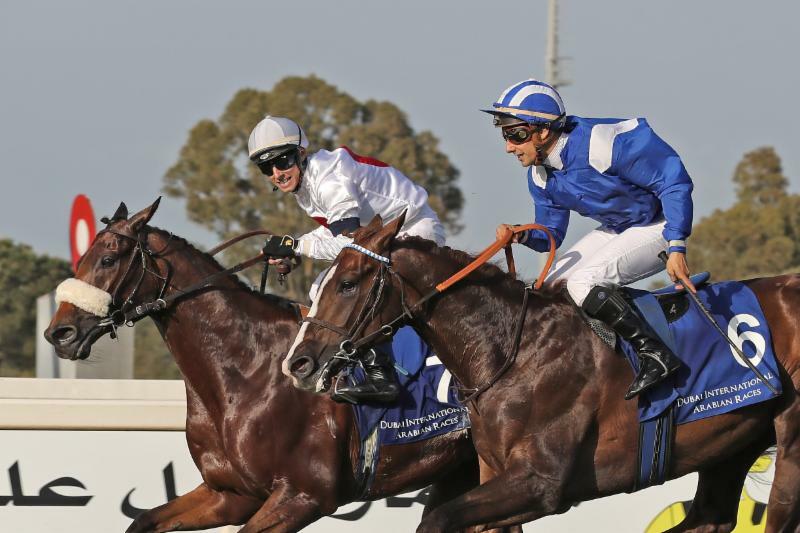 The Dubai International Arabian Races 2018 season got off to a superb start at Capannelle racecourse on Sunday April 29, with three contests as part of the nine-race Dubai Day card which included the Italian 1000 and 2000 Guineas for thoroughbreds. It also saw great success for trainer Endo Botti, who won all three Arabian races, and jockey Antonio Fresu, who rode two of those winners. The meeting opened with a 2000m conditions race, the Premio Taajer at Besnate, confined to fillies and mares. The contest was named after Shadwell Arabians’ Taajer, a full-brother to Handassa, who has retired to Società Agricola di Besnate in Verase, Italy for 2018. The race was won in good style by Eiman Du Loup and Antonio Fresu, who dominated from the beginning and finished well clear of Yenka and Varen By Perla, despite veering across to the stands rail, losing ground. Owned by Razza De Pine, Eiman Du Loup is by Kerbella and is a full-sister to Oleya Du Loup, dam of Group 1 winners Samima and Lightning Bolt and traces to Nevadour. That was followed by the Premio Shadwell Arabian Stallions Stakes, a conditions race for three-year-olds only, which produced another convincing winner in Zoe Di Gallura. Filing the places in the 1500m event were Winne Taouy and Aline Khal. The handsome chestnut colt is ahalf-brother to the 2016 winner Urge Di Gallura, also trained by Botti, who then went on to DIAR at Newbury to win the juvenile Group 2 race over 1400m. 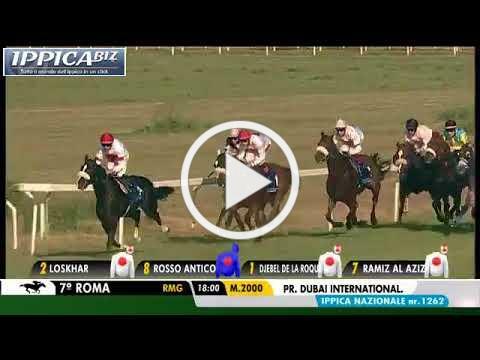 This notable achievement was the first Italian winner at DIAR, the first Italian PA winner worldwide and also Urge Di Gallura was the first horse to win the DIAR bonus, which rewards the winners of DIAR prep races who go on to Newbury and win again. The feature event was the Listed Premio Dubai International Arabian Races 2018 Stakes, run over the same 2000m as the DIAR highlight at the end of July. It attracted a field of 11 runners, with the top weight being the Thomas Fourcy trained Motrag, carrying a Group 1 penalty for his juvenile win in France. Also fancied was another French trained runner, No And No Al Maury, for Damien de Watrigant. Motrag was having his first run since October, whilst the lightly raced No And No Al Maury, had struggled in previous runs on more testing ground and his trainer was hopeful of a better performance back on quick turf. However, it was another fine performance from the Botti stable as Ramiz Al Aziz and Antonio Fresu held off a determined challenge from No And No Al Maury to win by a nose. Botti also trained Djebel De La Roque for Paul and Manuela Daverio (a full brother to Cheik Roque) who finished third, ahead of Motrag in fourth. Ramiz Al Aziz had not fulfilled his potential when trained in France, and has clearly improved since arriving in Italy. They are delighted with their new relationship with Endo Botti and his partner Christiana Brivio who are from established Italian horse racing families and have only recently taken to training Arabians alongside their thoroughbreds. 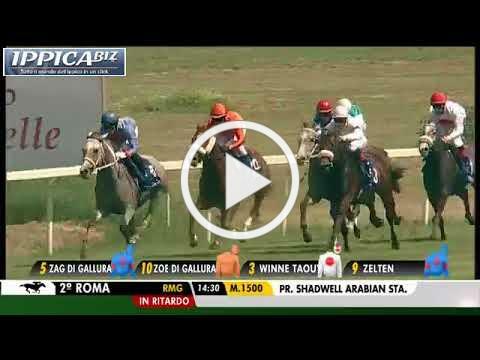 Already they have had great success, starting with Urge Di Gallura back in 2016. That DIAR win was also a significant moment for young jockey Antonio Fresu as he explained: “It all started with Urge Di Gallura’s win at Newbury, as before him I had only ridden only three or four Arabians. His win gave me a good push, because wining a Group 2 at DIAR was important, so then I started riding in Dubai, there I was riding Arabians for Erwan Charpy and then the next season I was first jockey for Khalid Khalifa Al Nabooda, who’s horses are with Ernst Ortel, so that was a good experience. The next event in the DIAR calendar is the DIAR at Newbury July 29th International Stakes, a prep for the Za'beel International Stakes (Gr1PA) to beheld at Newbury on June 14. 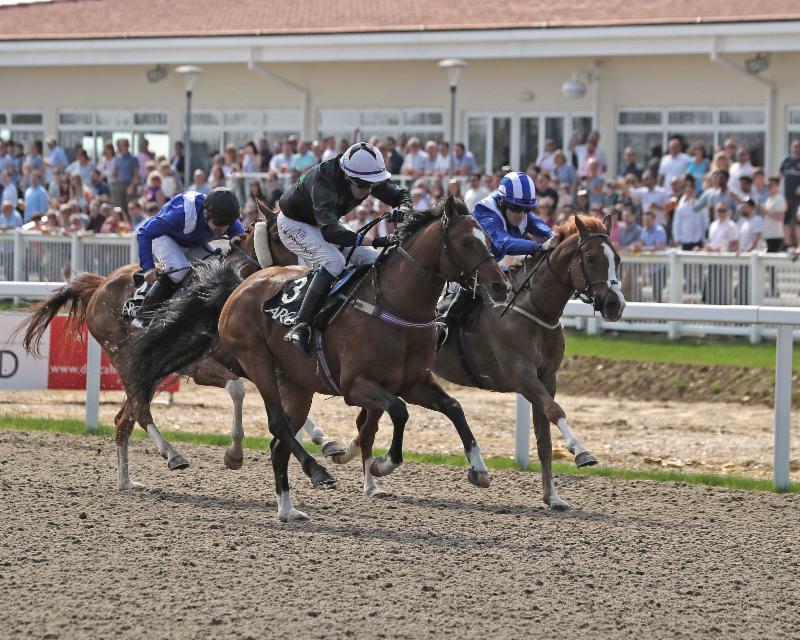 Last years' ARO Championship winners all made their mark on the opening day of the UK season at Chelmsford City racecourse on April 21. Top trainer James Owen rattled up a four-timer, with winners ridden by leading lady jockey Joanna Mason, as well as Simon Walker (riding a double) and Antonia Peck. Multiple Champion Owner HH Sheikh Hamdan bin Rashid Al Maktoum had three winners, two, Rafeef and Emiraaty trained by Owen, and a third, Makhaater, trained by Phil Collington. 2017 leading novice, Ellie Mackenzie also got off the mark, riding Johara Bint Shuwaiman, giving trainer Nikki Malcolm her first ARO winner. Whilst champion jockey David Turner scored on Zayin Angkor Centurion (pictured). The next UK full fixture will be held at Taunton on May 13. Further details on the ARO website. Cre Run Farm in the USA said a sad good bye to two of its' stallions, in Sam Tiki and DA Adios in April. Sam Tiki +, was a Darley winner and Racing Hall Of Fame inductee. By Sambor, sire of the great mare CR Samborsta, dam of Siehame, who is dam of Tallaab Al Khalediah, the recent winner of the Dubai Kahayla Classic. Sam Tiki+ was out of Kyla Tiki, by Kontiki, and was foaled in 1985 , he represented some of the best old race bred bloodlines in the USA. He was the winner of 10 races from 21 starts and over $100,000. 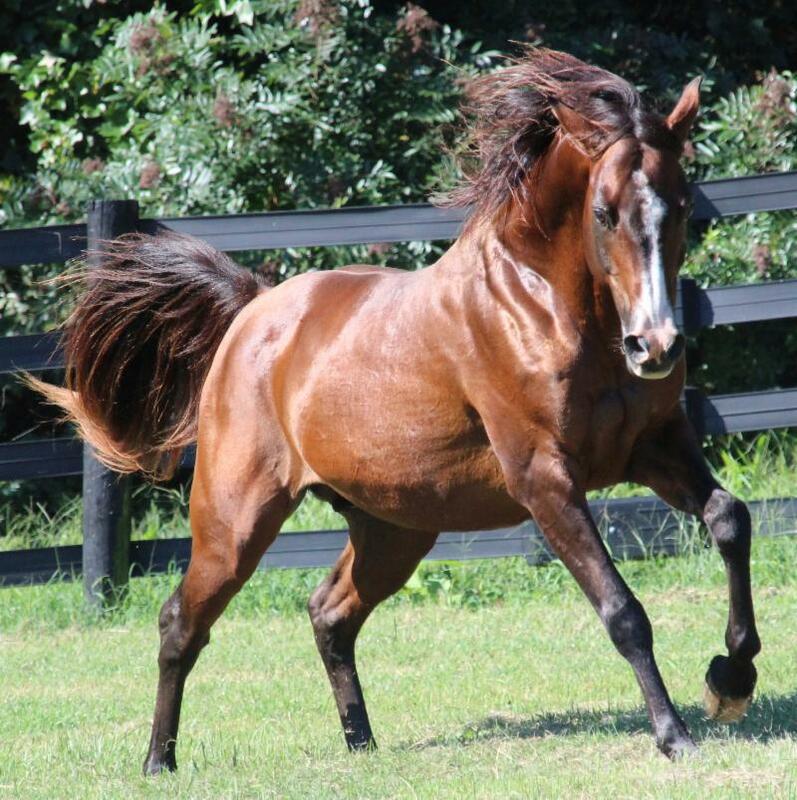 Since retiring to stud he has sired four Darley Champions in Mr Full Service, Dreams Of Valor, Cash Onthe Spot and Dixies Delight and, being completely free of French blood, was an outstanding Heritage Arabian Racing Club stallion. Just a few days earlier, DA Adios +/ who was also HARC approved, was lost to colic. The 20 year-old-stallion was of pure Polish bloodlines and an outstanding racehorse who had only recently lost the accolade of highest US Arabian money earner to Paddys Day. Twice Darley Horse of the Year, he was also WAHO Horse of the Year and was a multiple Grade 1 winner. 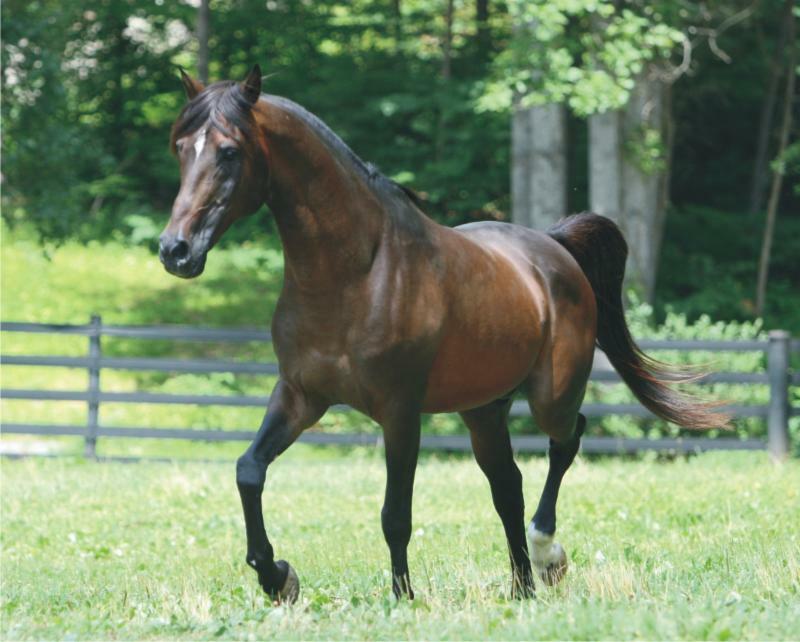 DA Adios +/ was a son of champion racehorse, sire and broodmare sire, Wiking out of Sanibel IA, who after export to Turkey became the dam of Ucanbey, winner of over $1million in Turkey. His best progeny to date is Ofirka Fata, leading 3yo filly in Poland. In 2017 he sired dual US winner Sierra Winds and recorded his first UK success with Zayin Indian Fuego, an easy winner over a mile at Wolverhampton on his seasonal reappearance. Whilst both stallions stood at Cre Run in the USA, they were represented in Europe by Esteem Bloodstock. 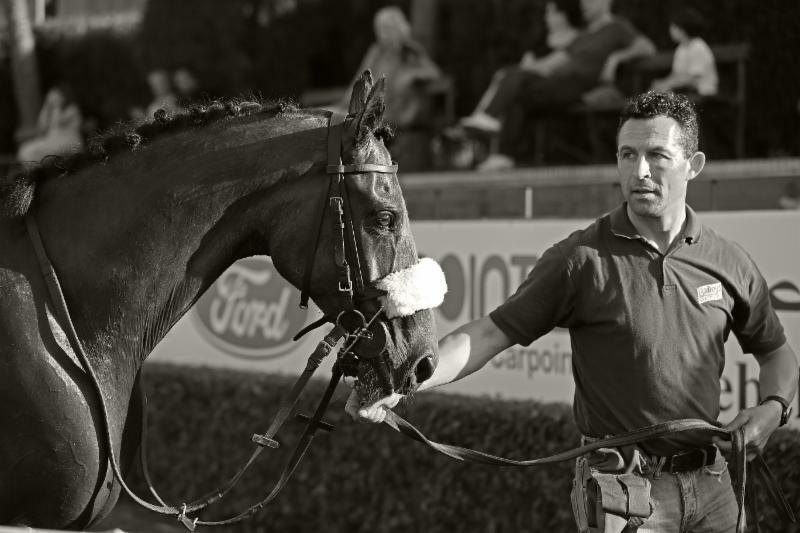 James is the current ARO champion trainer, based in Newmarket, Suffolk. Though James rode under ARO rules as a jockey, it was in Point-to-Points where he flourished, being nine-times East Anglian Champion. Since retiring from the saddle he has had continued success as a trainer, gaining the ARO Best Newcomer Award in his first season in 2015 and the ARO Trainers Championship in each season since. Follow the yard throughout the year in his monthly column for The Arabian Racehorse. "Chelmsford was a successful meeting for us and I am pleased with how the horses ran. Rafeef won her maiden over 7f and we will look to run her on the grass next time. She is a nice daughter of No Risk Al Maury and is improving all the time. "Insignia was a surprise winner for us, as on his three previous starts at this track he has struggled with the surface. He won nicely and it’s great to train another winner for my parents. Watheeqa and Tijaary ran very well for their first starts and I hope that there is a lot more to come from these two. 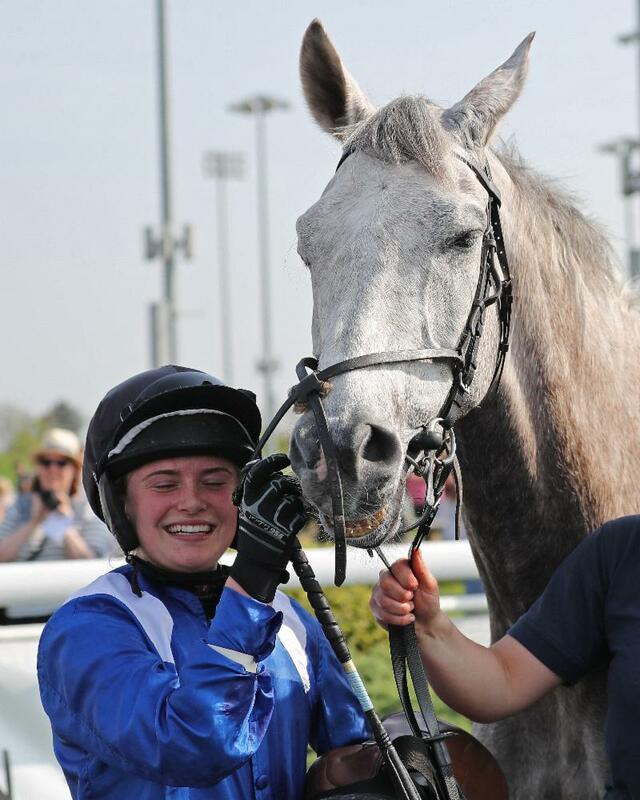 "It was great to see Antonia Peck riding a winner on Emiraaty [above], who she gets on so well with. They will probably be pairing up again at Taunton. Delishess won the 0-65 handicap in good style for a new owner to the sport who is delighted with the result. The plan for Delishess now is to be put in foal to No Risk Al Maury, but she will race a couple of times again this season all being well. It was fantastic to have many of our racing club members at Chelmsford. Crahck ran well, finishing fourth and staying on, he will probably go to Taunton and then on to Doncaster for the 2m handicap. Dolfina D’Ibos was a bit disappointing, but her form was very in and out last year so we are drawing a line through that run. She will go to Chepstow next for the 0-55 handicap and hopefully she will be in a better mood that day! "We have just made our entries for Taunton and hopefully the ground should be nice with the recent rain we have had. My best chances there will probably be Tijaary in the maiden, Al Kaaser in the 0-80 handicap and Emiraaty in the open handicap. It will be an overnight trip for us which is always good fun for the team! " 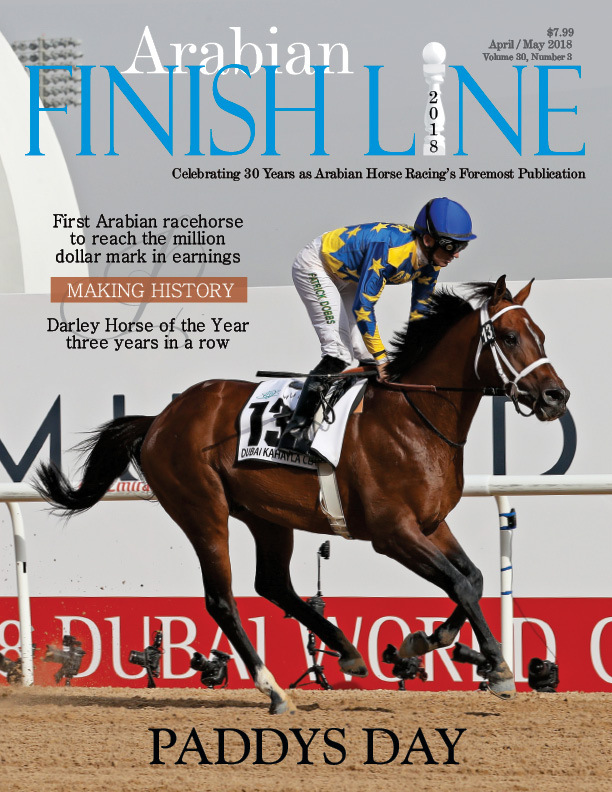 The US Arabian racing publication Arabian Finish Line has branched out into podcasts through the Horse Radio Network. 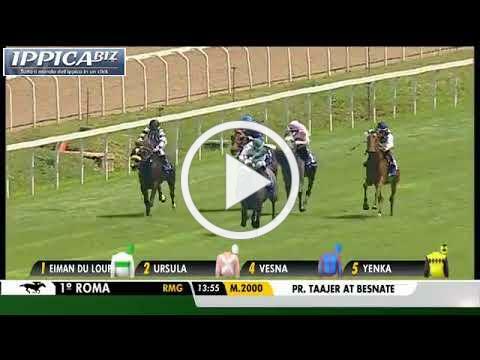 Titled Arabian Racing Radio, the podcasts are available to download or can be live streamed. Episode 8 includes an interview with Pete Aiello, the track announcer at Gulfstream Park. What is his connection to Arabian racing? You will have to listen and find out. For 2018, The Arabian Raceh o rse magazine will be issuing monthly updates by email to support the digital publication which will now be produced quarterly. This gives advertisers a chance to increase their reach beyond the quarterly publication, with the use of logos or banner insertions in the email. Contact The Arabian Racehorse for further details about advertising in the monthly newsletter or in the quarterly magazine. Details at the bottom of this email. 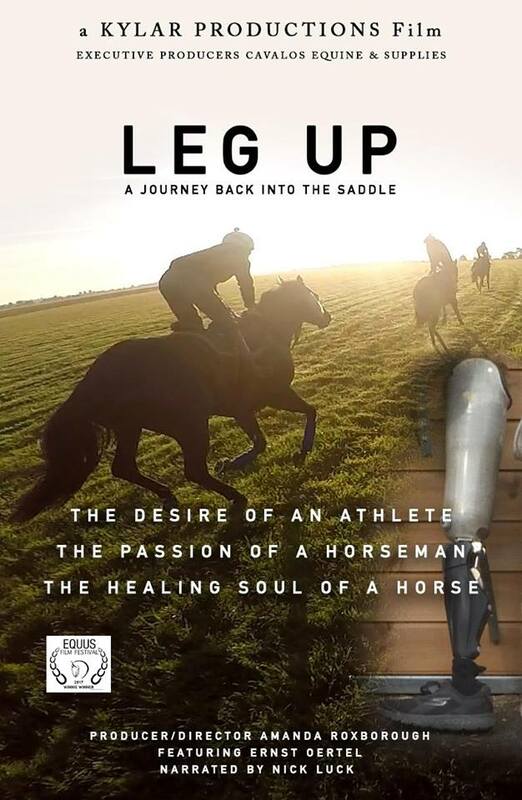 Moviegoers have the unique opportunity to experience lifelong horsemen Ernst Oertel's inspirational true story when the award winning documentary film "Leg Up" makes its distribution release in USA and UK on Tuesday May 8th on Amazon. 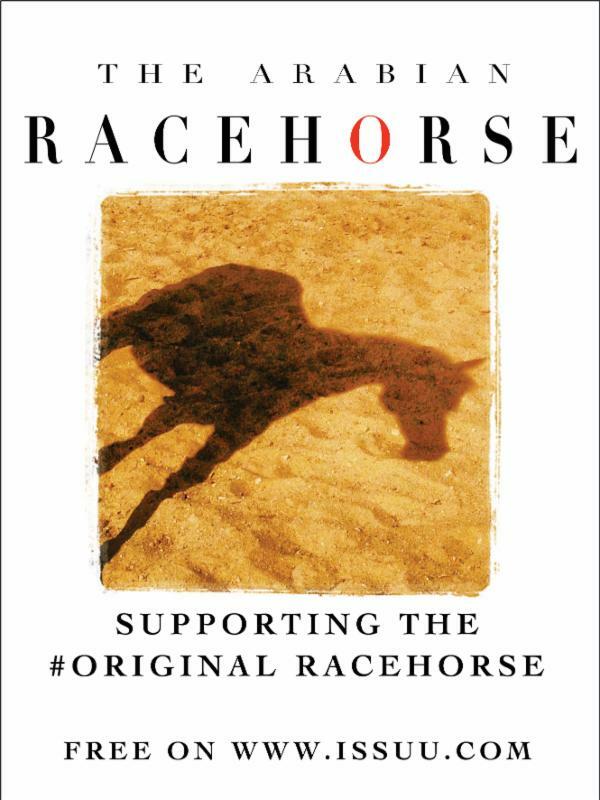 Narrated by TV racing host Nick Luck, audiences in USA and UK can purchase a download stream or rent the film. “My vision for 'Leg Up' is to empower other athletes and people like Ernst, who have had a major life shift and create a movement that helps lift themselves to their greatest potential." said Roxborough. 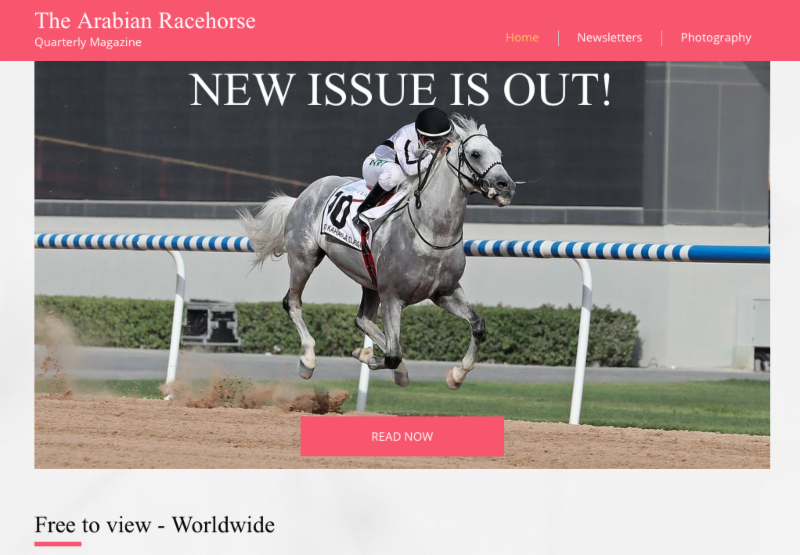 The Arabian Racehorse has updated it's website to become the main portal for all the links to social media, the digital magazine archive, the newsletter archive and links to purchase the photographs featured in the magazine. In order to comply with the new General Data Protection Regulations coming into effect next month, at the bottom of the home page, visitors to the website may subscribe to continue to receive updates from The Arabian Racehorse by email.